Let’s stop beating ourselves up! Instead, these simple steps and routines will help you get to YOUR ideal weight – and stay there. It’s not about making hard choices all day long. It’s about establishing routines that become natural, just like brushing your teeth. Then health, wellness, vitality… just becomes who you are. The routines, rhythms and recipes we’ll explore in the I WILL Lab are simplified versions of 5,000 year old Ayurvedic wellness practices. These practices create a structure so that we don’t have to spend tons of time preparing food or pondering how to help ourselves get healthy. Is it time to lose baby weight and experience radical vitality… without struggle and deprivation? 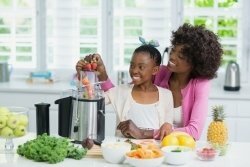 Picture your children following in your footsteps, eating what’s right for their bodies, honoring their natural rhythms, creating habits from easy, real self-care practices because it’s just what you do. Just like brushing your teeth. Allow yourself to be nurtured by saying YES to guidance, support and inspiration! 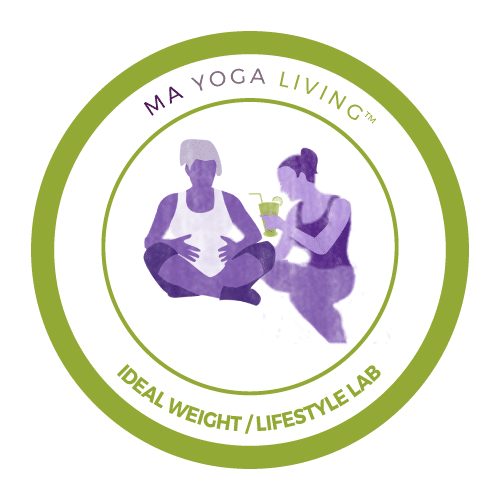 The Ideal Weight/ Ideal Lifestyle Lab is a safe space created for busy people who want to finally make the shift into deep nourishment instead of instant gratification. In the I WILL Lab you will be supported as you play with implementing new habits. We provide you with simple ways to get healthy food into your body – without living in the kitchen! We are on this journey together, everyone taking the steps which feel right for them and yet all of us moving in the same direction by following the same basic principles. Discover an ease and a freedom with your eating habits that you maybe haven’t experienced before – ever. Think about our culture and what it encourages. Just walk into any gas station market or fast food restaurant and processed, fried and sugary food is everywhere, while whole vegetables and fruits are rare and far between. We see daily false, retouched images of bodies giving us a sense that we are doing something wrong, and we need to be more “disciplined” and willing to deprive ourselves to reach our ideal. The lack of nutrients and the prevalance of unnatural, processed foods is astounding compared to other cultures, and it’s not surprising that we are feeling unsatisfied and hungry often. So how do we make the shift from being consumers to being powerful manifesters of our desires for ourselves? The key is turning the same kind of love and nurturing energy we’d give to our loved ones, toward ourselves. 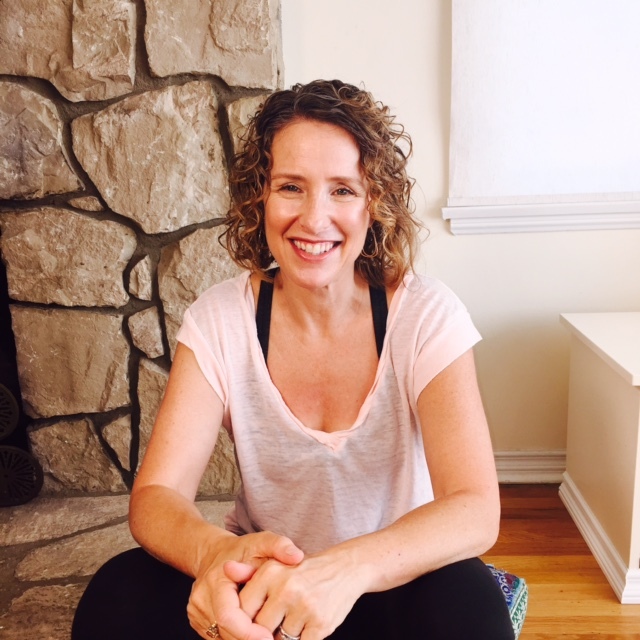 The “Ma” in “Ma Yoga Living” means mother in just about every language, but it also means the “highest, wisest, and most powerful” in Sanskrit, the language of yoga. With simple practices, we can learn to align with our highest Self, and let our inner “Ma” take the wheel. We can do practices to be able to hear our inner wisdom, so we start making good choices for ourselves, as well as our loved ones. We can awaken our intelligent cravings and get off the binge/deprivation wheel. When we establish routines, patterns, and simple habits the result is our kids see these healthy choices as the norm. They may want sugary foods, but they know how to eat right. As parents, we can say what we want to our children, and it has some affect. Our kids learn the most just by watching us. When I had a baby, I realized how dependent I had been on running and grabbing ready-made food. I didn’t know the first thing about making my own healthy food. And with my baby waking up every 3 hours, I didn’t have the time or energy follow complex recipes. I found myself grabbing my daughter’s Cheerios and goldfish, I couldn’t lose the extra weight, I felt depleted and low-energy, and I knew something had to change. I took an online course in Ayurveda, the 5,000 year old sister science to yoga, and was blown away by how simple and yet life-changing these practices and principles were. I set out to find ways to incorporate these powerful wellness practices into my busy mom life. The Ideal Weight / Ideal Lifestyle program – I WILL – isn’t a postpartum diet. Once healthy routines are established, vital wellness just happens. The three I WILL steps are simple and are all you need to get and stay on your path. It’s not about “shoulds” or “don’ts.” It’s about how to live life from a positive place, Do you have to do them every day? No! They’re there for you when you want to uplevel your health, let go of extra weight, or just nourish yourself in a deeper way. You will be on a path of honoring your body’s needs and desires. And when we do, we feel satiated and fulfilled, and we begin to crave what is going to help us thrive. Rather than adding more tasks to your lists, you’ll be in a routine-based flow (called “Anchor Practices”) that open up space and time for you to do the things you want to do, while continuing to be nourished, energized, and inspired. $247 for five I WILL live sessions. Early bird price – only $147! We lay the foundations for our journey together by understanding how to step into nurturing energy with ourselves. We learn about Agni, the force of digestion, and the hunger satiation cycle. We explore our own rhythms, sensations, and patterns without judging – only nurturing. We start a new conversation about food, related to the reality of how it’s broken down in the body. We are introduce to agni (digestive fire), and ways to support it. We explore ways to optimize digestion and metabolism for each meal, by exploring new ways to make food. We add in some new, healthier, “intelligent” foods. We discover where our power comes from, and explore ways to access it each day through essential Ayurvedic “Anchor Practices”. We begin to allow some foods and habits to fall away that we are ready to let go of by shifting the how and when of eating, as well as daily rhythms for work, play, treats and sleep. 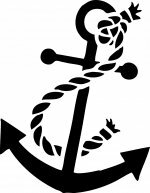 We explore anchor practices to keep connecting us to our power, wisdom, and nurturing energy throughout our day. When we look back on our time together, we will be amazed at how far we’ve come! We pack our toolbag for responding to social pressures as well as our own lifelong patterns. We choose which practices we’ll bring with us to keep us on track, and identify the communities and conversations that will continue to fuel us. I loved I WILL because it’s based on Ayurveda and translated into Western terms that are easy-to-follow for busy moms. For me this approach finally speaks my “yogic” language and training. I love the idea of adding in before taking anything away and I also love the idea that we can always be going back and forth between the steps. I liked the workbooks that go along with the videos, I like to take my notes on them. I just did the videos because I couldn’t be there live, and I kept up better than I thought I would! Yesterday I made green pancakes for my daughter, and everything I ate felt nourishing and satisfying. Thank you Jessica! 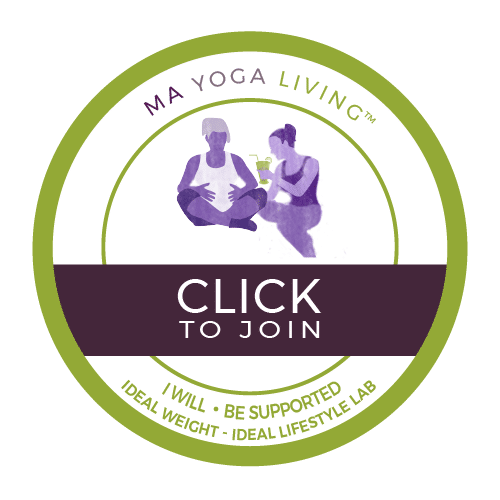 Register for I WILL: Ideal Weight/Ideal Lifestyle Lab Now. Join the I WILL email list and you'll get the course outline, My free 10 Recipes for Busy Mamas ebook, and my three favorite kitchen tools!